Dr. Harte on the wonders of Chiropractic, the risks of Medicine, etc. June 25, 2018: “‘Whooping Cough Uptick’ is Medical Fake News.” My take on the crass marketing of this news segment. June 19, 2018: VIDEO: “… As Whooping Cough Spikes in Marin County” Channel 7 ABC-TV clip about a recent “uptick” in whooping cough. As usual, 3 against 1, In this segment, I point out that what doesn’t work, like this DTaP vaccine, it doesn’t make sense to do more. April 18, 2018: “California Moves to Kill Free Speech and Health, says Wellness Activist Dr. Harte” The grave threat to freedom of speech, and health, posed by SB1424. This is designed to silence vaccine critics. February 15, 2018: “Gun Control or Doctor Control? Asks Dr Harte. In response to one more school shooting. October 26, 2017: “Is it the GOP or the Democrats Who Are Destroying ‘Health Care’ in America,” asks Dr. Harte “In this over-politicized climate,” Harte states, “people expect every problem to have a governmental solution. This only makes this sick health care system sicker.”The REAL solution is a totally different paradigm! July 28, 2017: “Dr. Harte and the ‘Health Care’ Debate – A Loss of Health AND Liberty”: Dr. Harte attacks the whole PMMG (Pharmaceutical-Medical-Media-Governmental) Complex, society’s reference to Medicine as “health care,” with his warning about making Medicine the state religion. March 31, 2017: “Trumps’ Wrong Attack on Opioid Epidemic”: The foolishness of pain management. Dr. Harte puts the blame squarely upon the M.D.’s, chiefly the orthopedists, who fail, clinically, and get patients hooked on opioids. The sensible way? Chiropractic care. March 20, 2017: “Missing Pieces of the Health Care Debate”: Dr. Harte points out the absurdity of looking for more access to medical care, which, basically, doesn’t work, except in emergencies. What is health care, really? January 18, 2017: “‘Hitler in a White Coat’ Stalks California”: Dr. Harte attacks proposed California bill, SB18, which tightens the noose of compulsory vaccination, and will interfere with parental control of their own children, even beyond health care issues. July 6, 2016: “Cool = Science?” Letter to the Editor, Pacific Sun, regarding their article touting Magic Mushrooms as a legal, medically accepted treatment for PTSD and depression. Dr. Harte making plain the ridiculousness of this. January 5, 2016: Best New Year’s Health Advice: Beware of Doctor’s Scare Tactics! November, 2007: “Is There a Vaccine That Protects Against ‘Non-Science?’“Marin Independent Journal. Discussion of Guardisil, the HPV vaccine, the flu vaccine, and the general foolishness of vaccination, the lack of science and efficacy, etc. May, 2005: “Generations of Unbridled Power” The Chiropractic Journal. In a publication for chiropractors, I am standing up against the harassment and debasement of the chiropractic profession, specifically by the California Board of Chiropractic Examiners. November, 1979: “Interferon and Beyond” OMNI Magazine “Forum,” (Response to a cover story, “Cancer Cure at a Billion Dollars a Pound.” Interferon, one of many substances made by our immune system, was just discovered, and being touted as the cure for cancer. I wrote that this scheme would fail, and history has proved me correct. I discussed Chiropractic and the concept of Innate Intelligence, in regards to cancer and the immune system.) I was a chiropractic student when I wrote this. 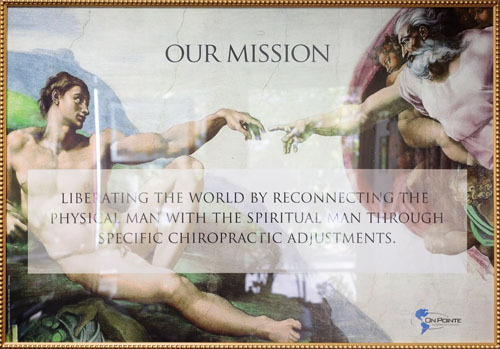 Give our Marin County chiropractic office a call to begin your journey toward health!